The learning team at M Shed in Bristol has developed a number of new Local History workshops and resources for school groups to make use of in 2017. The Bristol-related workshops vary in topic from influential people in Bristol to the transatlantic slave trade. This 90-minute workshop is available to book until 21st July and investigates the lives and legacies of significant Bristol people, including John Cabot, Isambard Kingdom Brunel and Hannah More. Suitable for Years 1 and 2, the learning session will see pupils exploring gallery collections related to a significant Bristol person; ordering events chronologically using a timeline; and preparing a presentation about a chosen significant person. This is an interactive learning session where pupils will handle real objects and dress in costume to discover more about the city of Bristol over five historic periods. Suitable for Years 5 and 6, the workshop is 90 minutes long and will cover Norman, Roman and Medieval Bristol. Pupils will prepare and deliver an interview-style presentation about their time period, order time periods chronologically, and discuss what is meant by ‘History’ and ‘the past’. During this one hour workshop, Years 7 to 10 pupils will use objects and historic documents to explore peoples’ attitudes towards the slave trade and how Bristol was changed by its involvement. Pupils will interrogate source materials, take part in a discussion about what the people of Bristol believed about the slave trade, and investigate four themes relating to the divisions caused by the transatlantic slave trade. 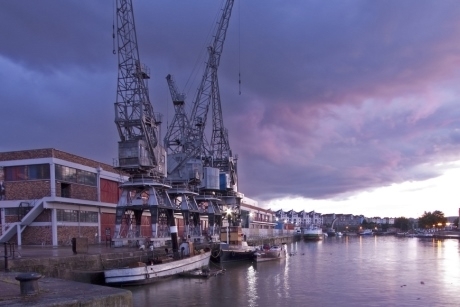 A free one-hour self-guided gallery activity is also included, giving pupils the chance to explore the M Shed galleries and examine the long-lasting impact the trade had on Bristol. For further information teachers should visit www.bristolmuseums.org.uk/m-shed.